Water damage top this El Centro home was the result of a water line running through the ceiling developing a leak. The leaking water pooled on top of the drywall ceiling until it finally dripped through to the floor below. 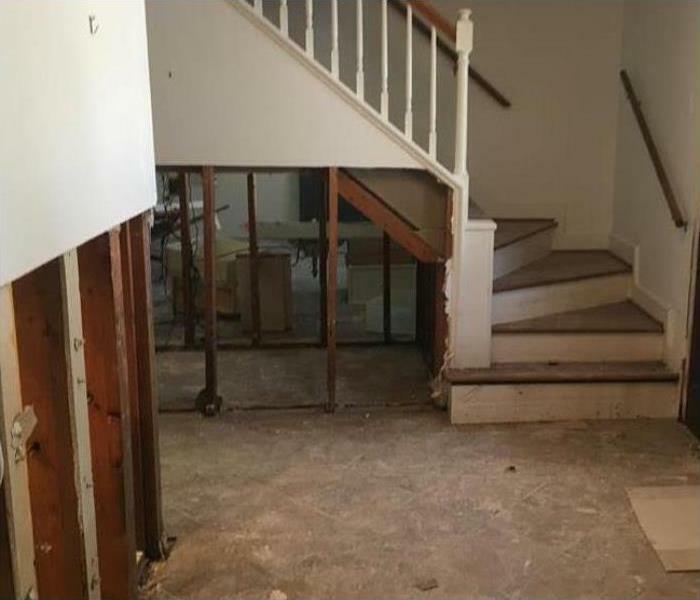 SERVPRO of El Centro / Salton City has a long resume of successfully completed water damage restoration projects such as this. Don't worry call SERVPRO when a storm causes major damage to your home in Calexico. Our storm damage specialists are standing by 24/7 to respond to your call. SERVPRO of El Centro / Salton City has the experience, advanced training, and specialized equipment to restore your home to pre-damage condition. Our recent customer called about a water damage event due to a pipe break at their office location. Team SERVPRO was quick to arrive and start the water removal process. 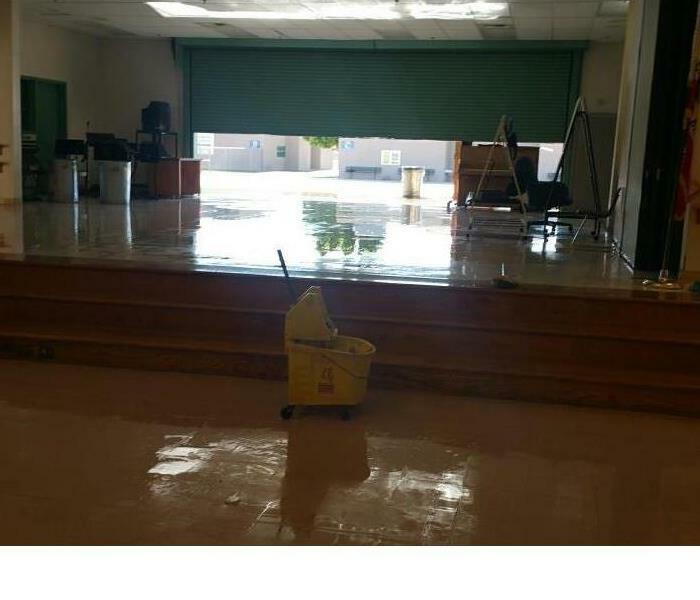 Should your company be affected by water damage, call SERVPRO of El Centro / Salton City at (760) 337-5858 right away. We responded to a call about significant fire damage to a cabin in Palo Verde. The fire started after a neighbor was working on their home. Our crew was able to respond quickly and begin the restoration process. Our technicians used our state-of-the-art equipment and specialized cleaning techniques to restore this cabin to pre-damage condition. 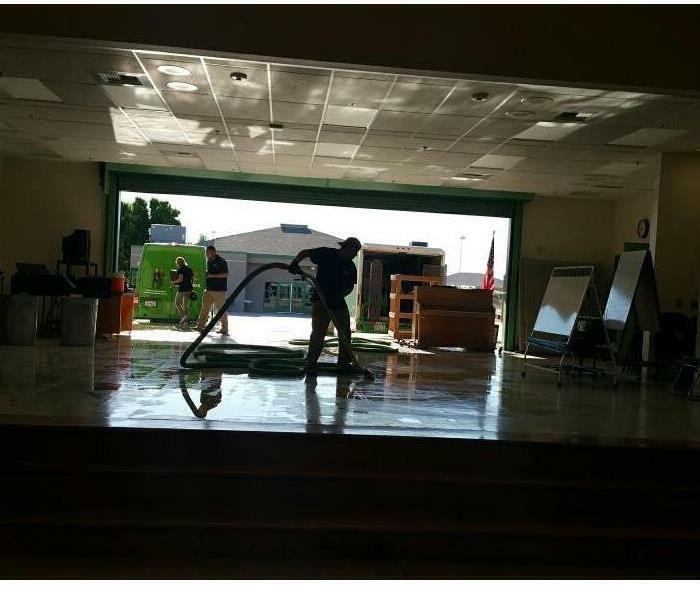 SERVPRO of El Centro / Salton City is Faster to Any Size Disaster! Fire damage at the adjacent business in this El Centro commercial building left the pictured office with smoke and soot damage. The telltale smell from a fire was also permeating the room. 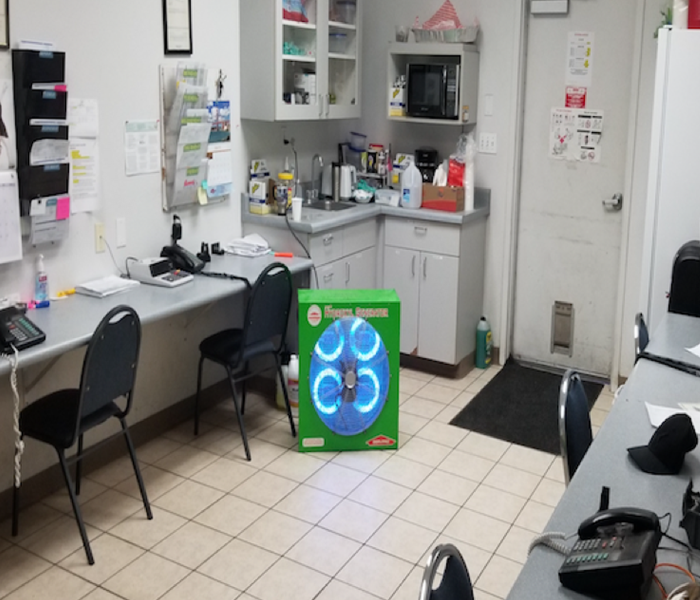 SERVPRO of El Centro / Salton City industry certified technicians cleaned up the soot and smoke damage and set up a hydroxyl generator to eliminate the smoke odor. 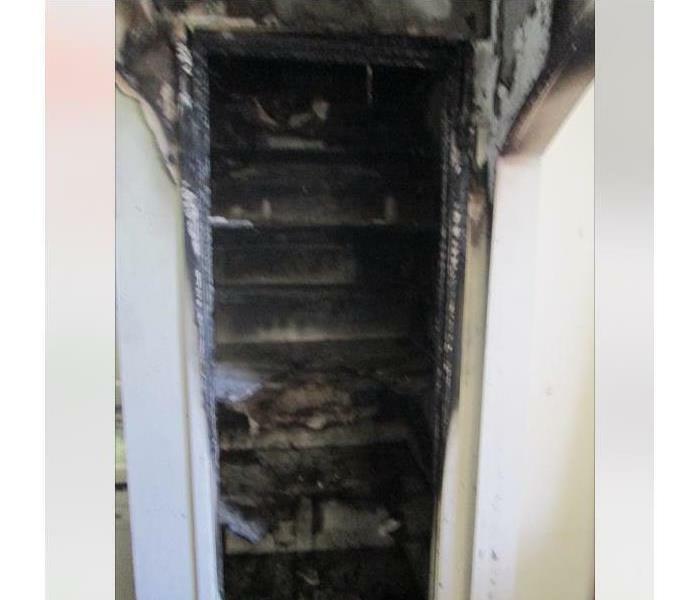 When a four-plex apartment building in Blythe, CA caught fire, they contacted SERVPRO. Only one unit was affected and the cause of the loss was a kitchen stove fire. 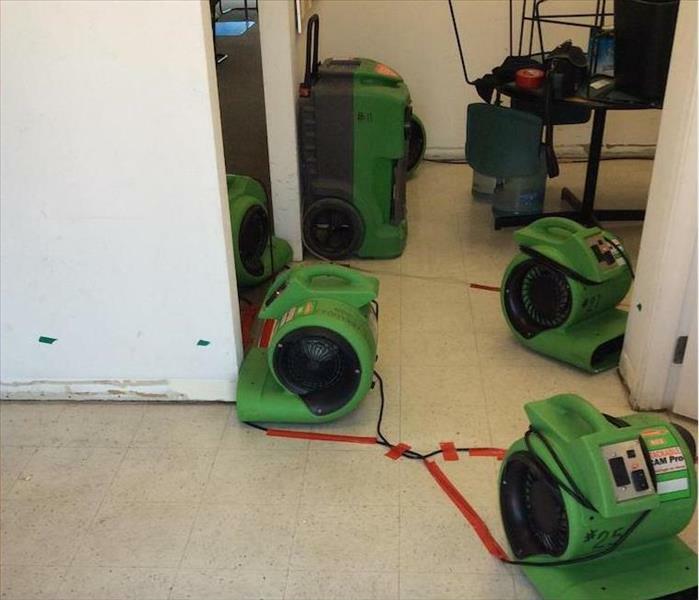 SERVPRO of El Centro / Salton City remediated the damage and got them ready for restoration. Call us at (760) 337-5858 should your home face fire damages. 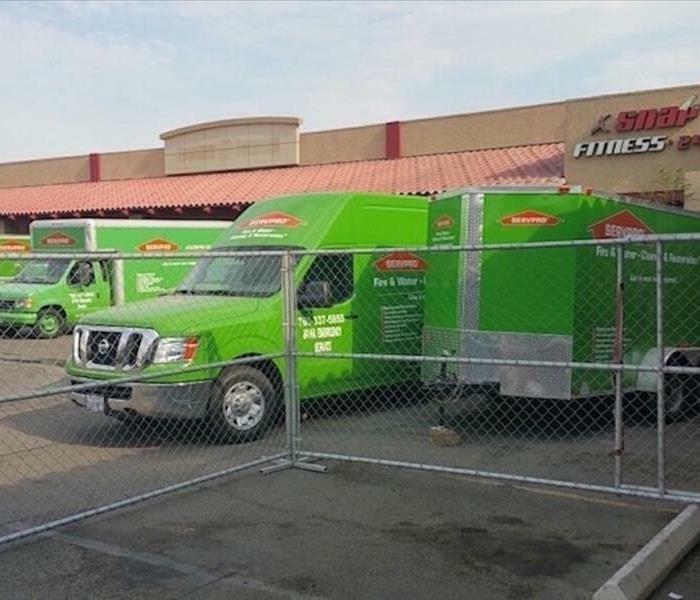 SERVPRO of El Centro / Salton City is available 24/7, locally owned and operated, and Faster to Any Size Disaster. We will respond quickly to your fire damage emergency. Our experts have the equipment, training, and experience to restore your home to pre-damage condition. 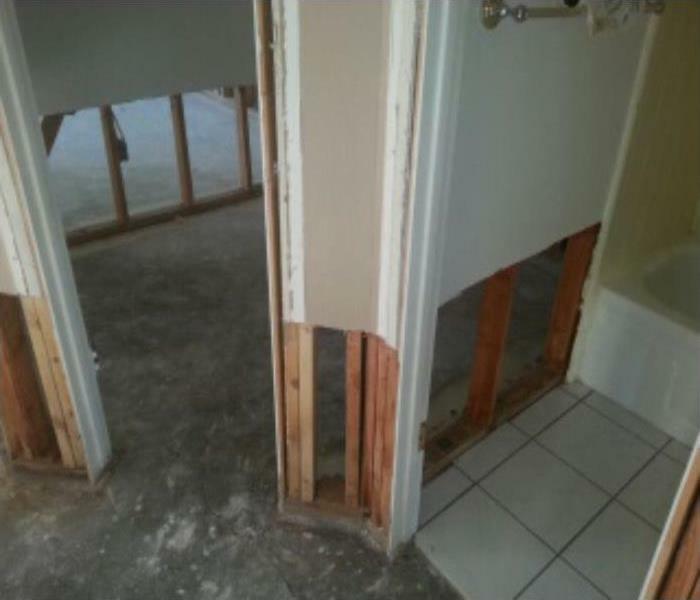 Mold damage developed in this Thermal, CA house when the toilet supply line burst while the homeowners were out of town. Their neighbor shut off the water and advised the owner which limited the damage, but by the time the owner returned mold damage had developed. SERVPRO of El Centro / Salton City has a great deal of experience with mold damage, and we were able to clean up the mold for the homeowner. The condensation line in the attic clogged and dripped water onto the ceiling tiles which soaked down the walls of this El Centro closet. The mold remediation meant the removal of the mold-infested drywall panels. SERVPRO crew members can then apply an antifungal agent to help prevent future mold growth. Our SERVPRO service area includes a lot of deserts and dusty environments. When a desert cooler or a powerful HVAC system has been installed in a home in the El Centro area, peak efficiency requires scheduled maintenance. A healthy IAQ indoor air quality can be achieved by having a highly trained, experienced, and equipped SERVPRO tech to keep the ducts clean of sand, dust, dander, mold spores, pollen, and allergens. 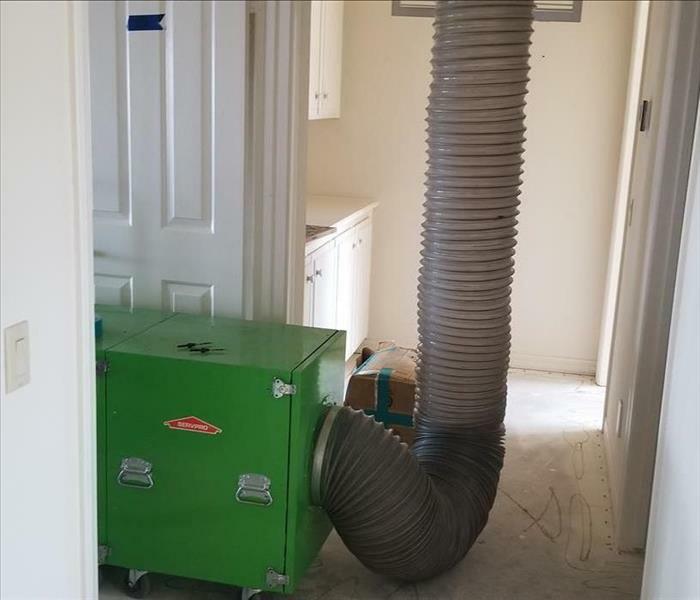 Pictured is a powerful vacuum that generates a forceful suction to extract the debris from your ductwork. This unit is fitted with a HEPA (high-efficiency particulate absorber) capable of capturing particles as small as 0.5 microns. This action means clean air. We also utilize a rotating brush tool to scrape the interior walls of the conduits to remove the unwanted elements. For residential and commercial cleaning, call us. The condensation line clogged in the attic causing water damage and then secondary damage--mold growth. The soaked and infested building materials were torn out and discarded as illustrated in the Photo. 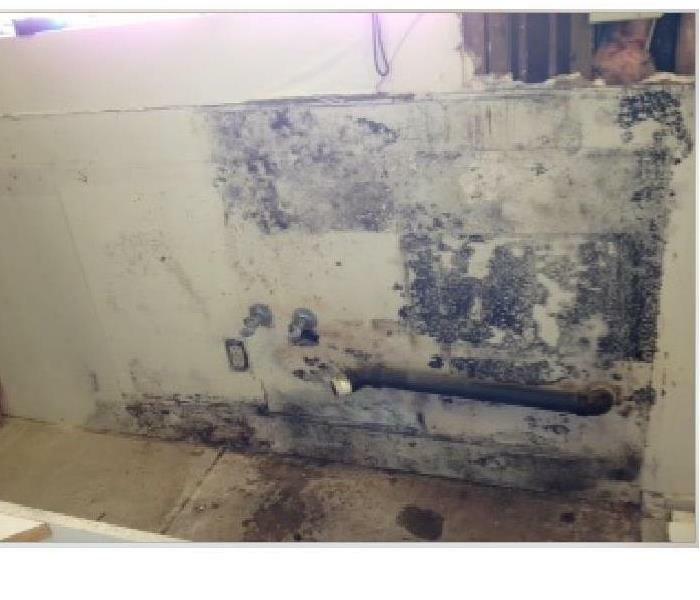 SERVPRO technicians can safely secure the damaged restroom in this doctor's office, apply an antimicrobial agent, and ready the area for a rebuild. Call us to get it done right. 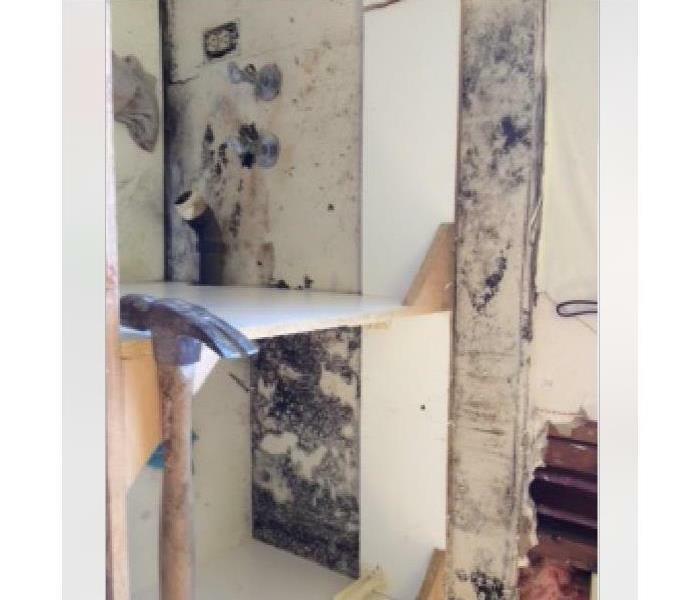 Mold damage developed in the bathroom of this El Centro home when a condensation line became clogged causing water damage that ultimately led to mold damage to the vanity cabinet. 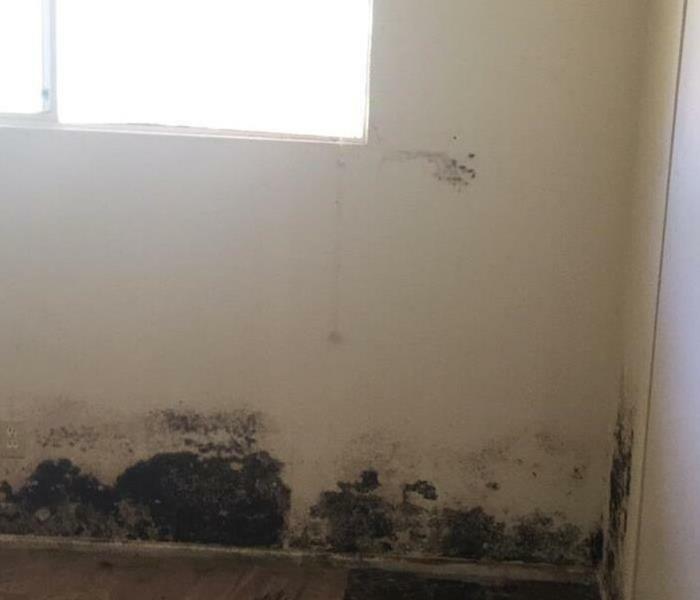 SERVPRO of El Centro / Salton City was called in to remediate both the water damage and the mold damage due to our long history of successful water and mold remediation. 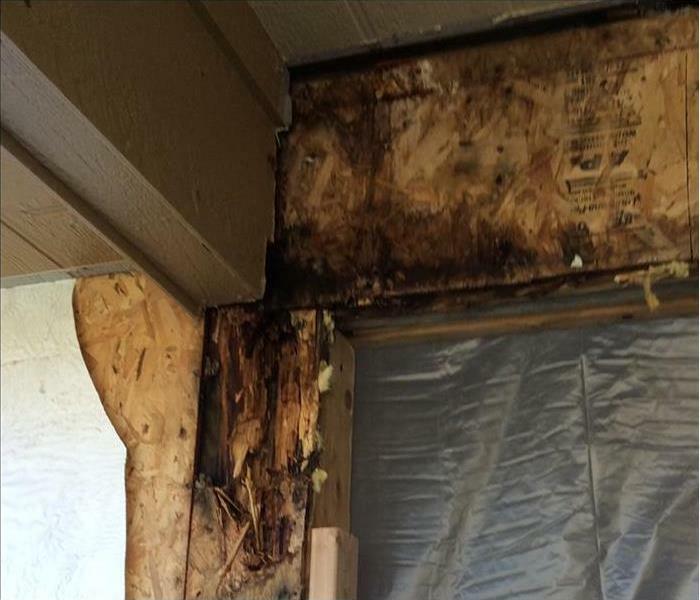 The mold damage to this El Centro home needs some professional assistance to help prevent future outbreaks. The AMRT applied microbial remediation technicians from our SERVPRO franchise can tear out and remove the non-salvageable building materials, apply an antifungal agent, and prepare the damaged exterior for a rebuild. Need help with mold? Give us a call. The items shown were involved in residential flooding. After careful inspection and restoration, SERVPRO helped this family return to a clean and dry home. When water takes control of your life, we help to take it back! SERVPRO responded to flooding in the residential property shown. After mitigating the damage by using our drying equipment, the floor was restored to its original condition. When water takes control of your life, we help you take it back! SERVPRO can clean up after any type of storm. The team is trained on cleaning techniques and can rebuild home from the studs to completion. 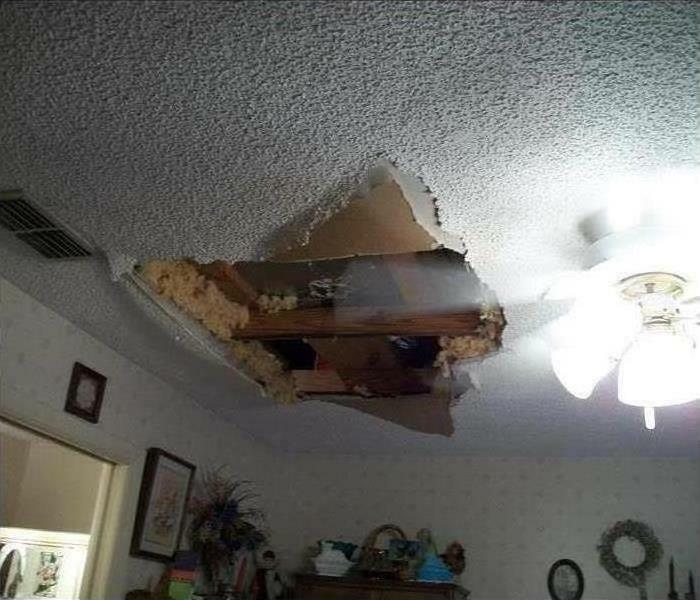 This home suffered from storm damage to the ceiling and had to remove drywall and repaired some structure damage. 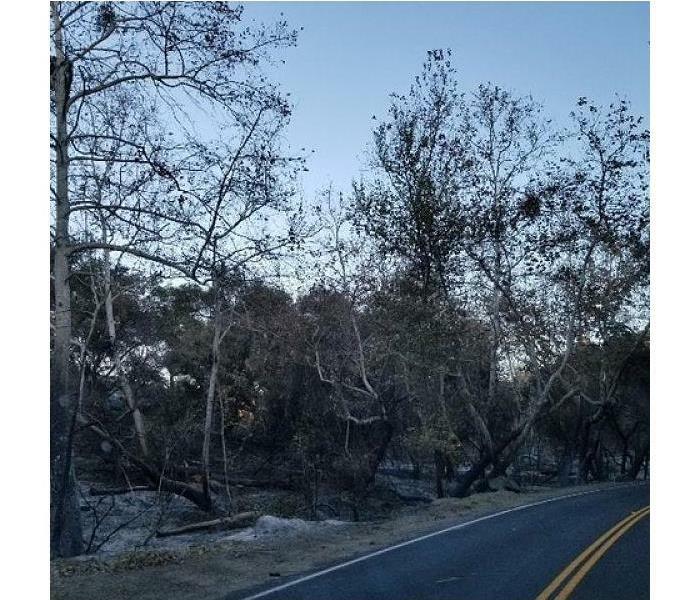 Storm damage in California can affect areas with fire, winds, or rain water. This area was affected by a wild fire that left the area dangerous for sight seeing. The water was rising in the area which SERVPRO sent a team and cleaned up the area. SERVPRO has cleaning techniques to take care of any type of water loss. This property suffered from significant water loss. The property owners youldn't believe how quickly the team could tackle and clean the damage. This commercial property suffered from water damage. SERVPRO responded and began to move pallets and merchandise away from the water to prevent damage. The recovery team can ensure the water is dried and return to pre water conditions. Mold can grow anywhere unexpectedly. 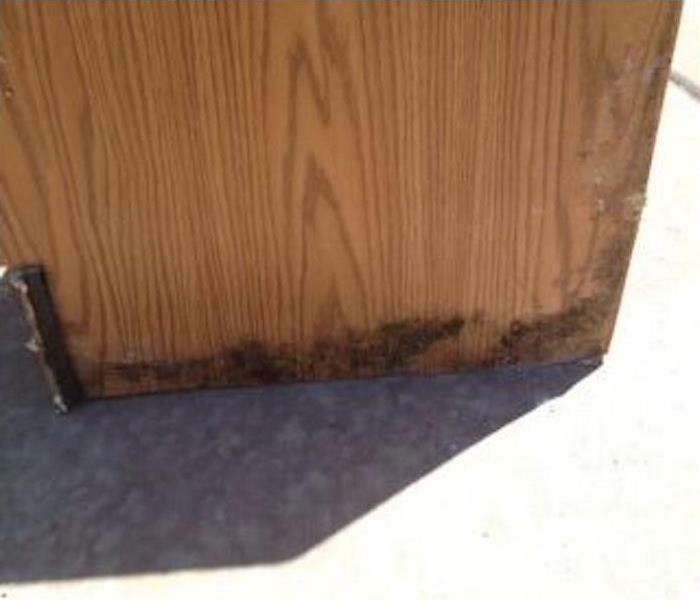 This cabinet had mold on the bottom where water and moisture had gotten and mold has grown because it wasn't dried. SERVPRO ripped out the cabinets and replaced flooring and cabinets. Mold can spread throughout your home very quickly so it is important to make sure the room infested is contained to keep from spreading. SERVPRO has special cleaning techniques for your mold remediation. This ceiling suffered with a water loss. A pipe from upstairs started leaking into the kitchen ceiling causing the drywall to fall and water fall into the kitchen floor. SERVPRO quickly responded and began the clean up process. SERVPRO has special equipment for your commercial restoration emergency. The air movers dry the floors and walls. The team responded and dried the area with air movers. 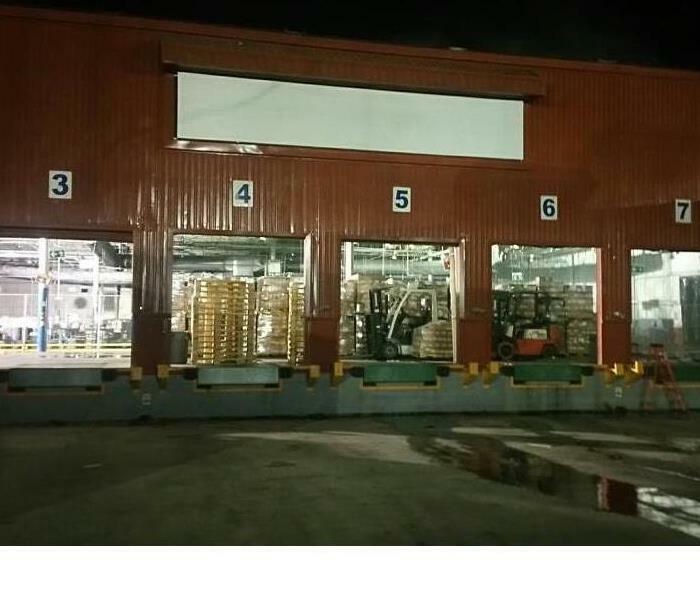 The water was extracted from the floors. Water can create loss throughout an entire home. 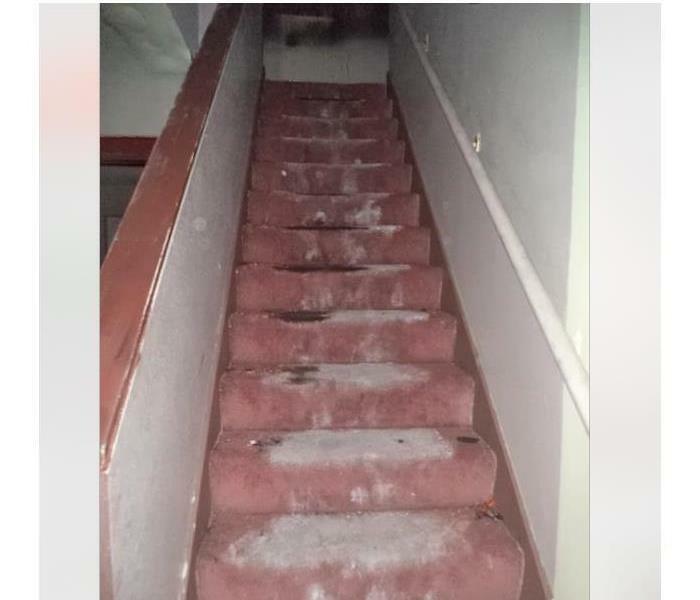 These stairs were soaked with water after water loss. The carpet had to be completely ripped up to start the drying and reconstruction process. What can you do if you find mold? 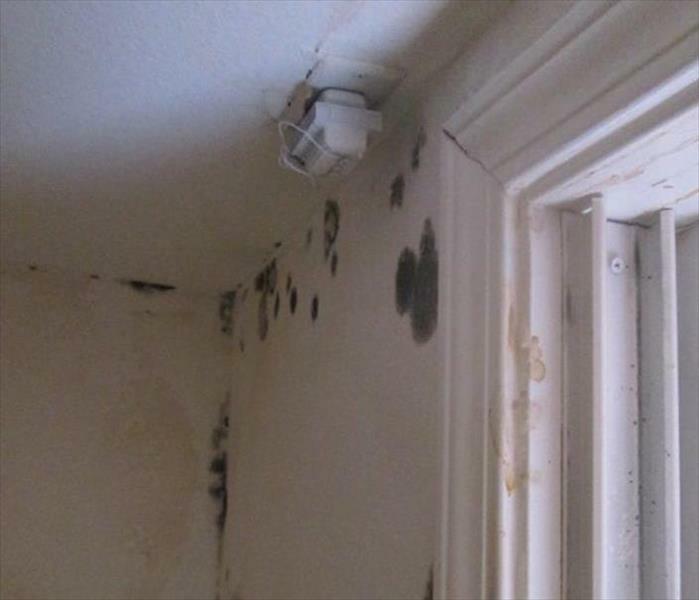 Mold can grow in places you might not ever see until removed. If you find mold contact SERVPRO and we can professionally remove the mold from your home or business. Fires can be devastating. The smoke and soot stains can be very hard to remove and ruin everything it touches. SERVPRO has cleaning techniques they can use to clean the area and remove stains. This is a clean up after storm damage. The team at SERVPRO are ready anytime day or night for your storm emergency needs. The team has the expertise and equipment for any type of disaster. Storms can happen any time. The team is ready to respond. This garage had significant water damage from flooding. The entire garage had to be torn out and dried. The walls had water stains and had to be cleaned professionally. Call SERVPRO for your water loss emergency. This is a water loss in a kitchen. The water will damage the floors so its important to get the water up quickly and prep the floors to keep water from going under the wood. 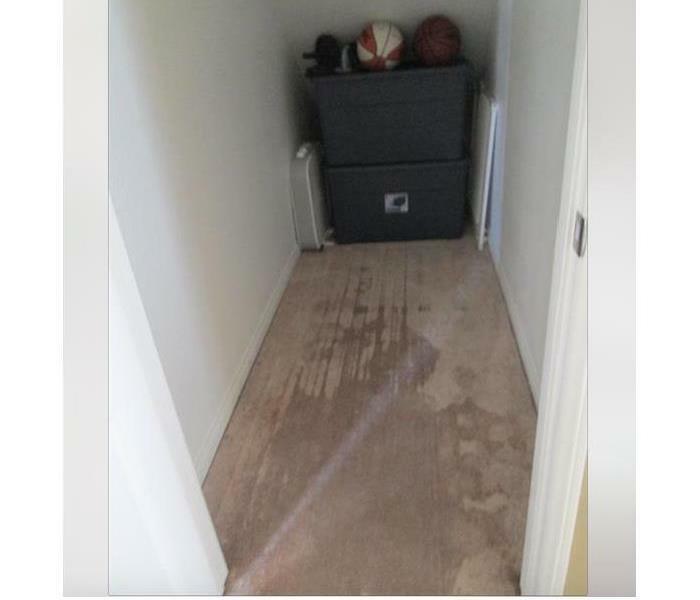 SERVPRO responded to this water loss. They dried all the content and carpet. The team has all the equipment ready to respond to any type of water loss caused from flooding or storms. SERVPRO can respond to any mold remediation. The team has cleaning techniques to ensure your home is safe after cleaned by SERVPRO. The mold can spread quickly so it's important to respond quickly. This area was affected by a water loss. 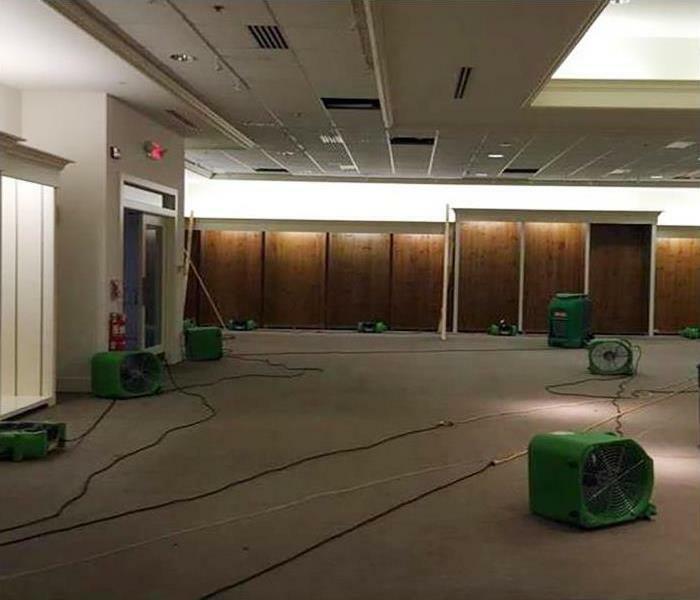 The technicians at SERVPRO have the equipment to extract the water from the floor and quickly dry the area with air movers and drying techniques. SERVPRO can respond to any fire commercial loss. 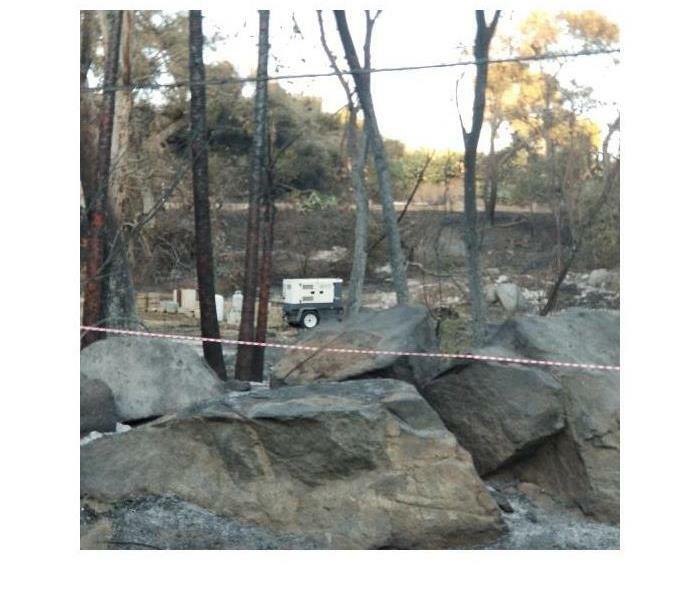 The team quickly responded and began the efforts of clean up after water loss from fire fighting. There was water inside and out. This is the aftermath of a fire loss. There was significant damage to the building and completely destroyed it and burnt to the ground. SERVPRO responded for quick clean up to the area. SERVPRO of El Centro / Salton City responded to this damage after a storm. The room had lots of debris and ceiling falling out. The team has special equipment and techniques to get your room back to pre-storm conditions. 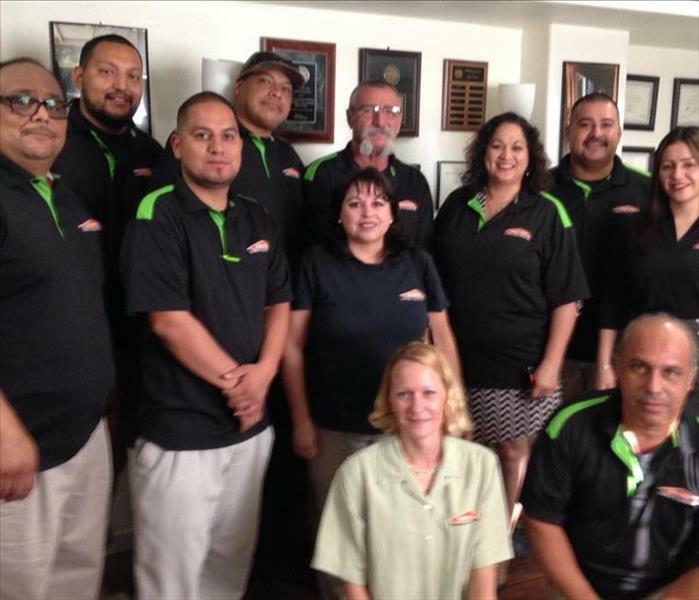 SERVPRO of El Centro / Salton City has technicians trained in all areas for your restoration emergency. They can respond quickly to your water loss and quickly begin assessing the situation and extracting the water to prevent future damage followed by drying. SERVPRO of El Centro/ Salton City can respond to your mold remediation job. They have trained technicians who specialize in professionally inspecting the area then assess and remediate your property. They can validate and ensure the mold is free from the home. 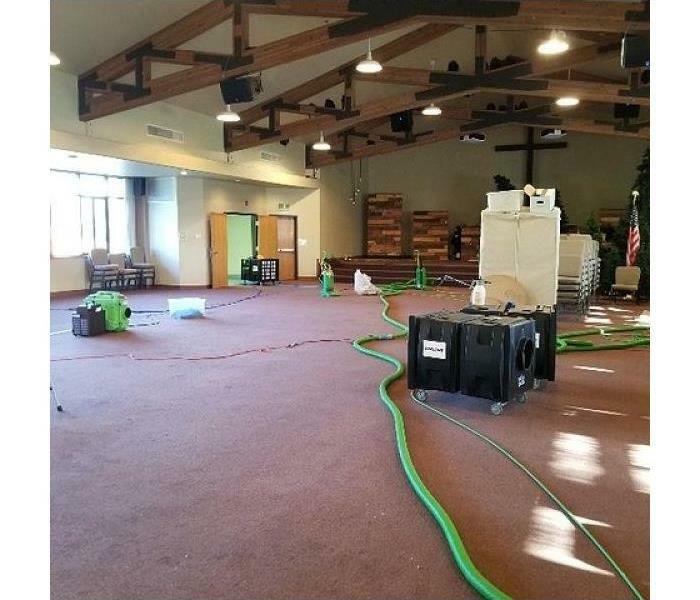 SERVPRO of El Centro/ Salton City responded to this beautiful church and had the rafters and carpets cleaned after a fire had caused soot to cover the area. 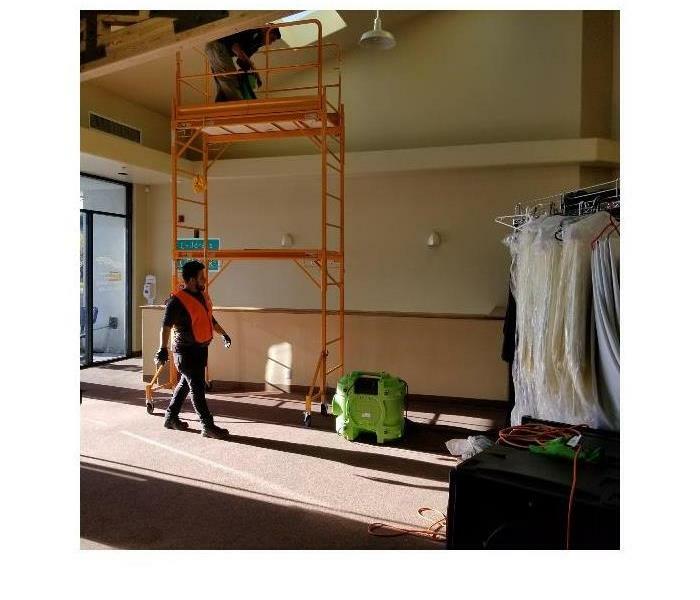 They have professional cleaning equipment to clean after a restoration emergency. 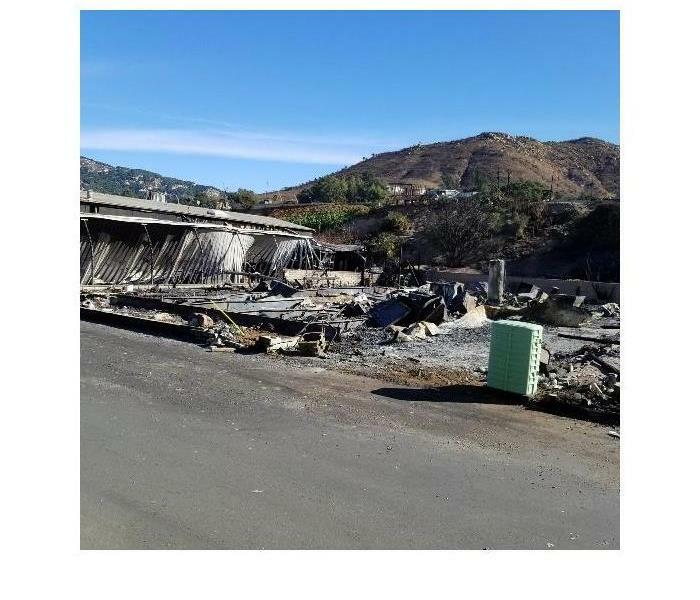 SERVPRO responded to the wild fires in the area. The smoke from the fire caused a lot of ash to line the highways. Every time the wind blows the ash covers homes with a fresh film of soot. 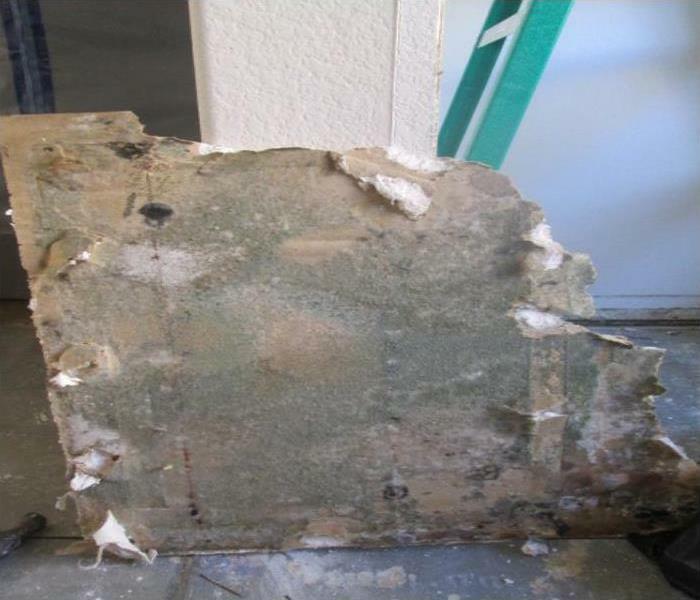 If you have mold in your home, SERVPRO of El Centro/ Salton City is here to help! We have teams that are trained and certified to help remove and treat mold. If you have any questions do not hesitate to reach out at anytime. 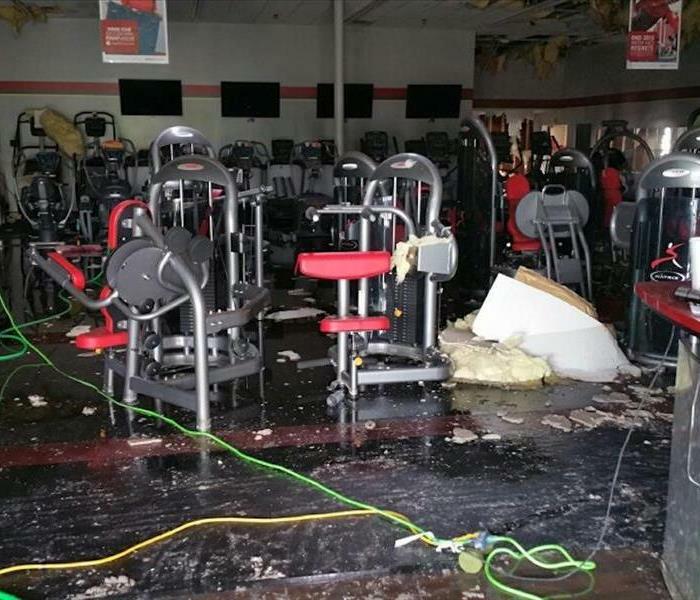 Our team was quick to respond to this water loss in a fitness facility. We were able to extract quickly and remove all of the water. After we placed drying equipment to get the facility dry and ready to be reopened. Our team having fun in the community. We love the families in El Centro, CA and like to support and participate in many local events. Check out our SERVPRO bounce house. 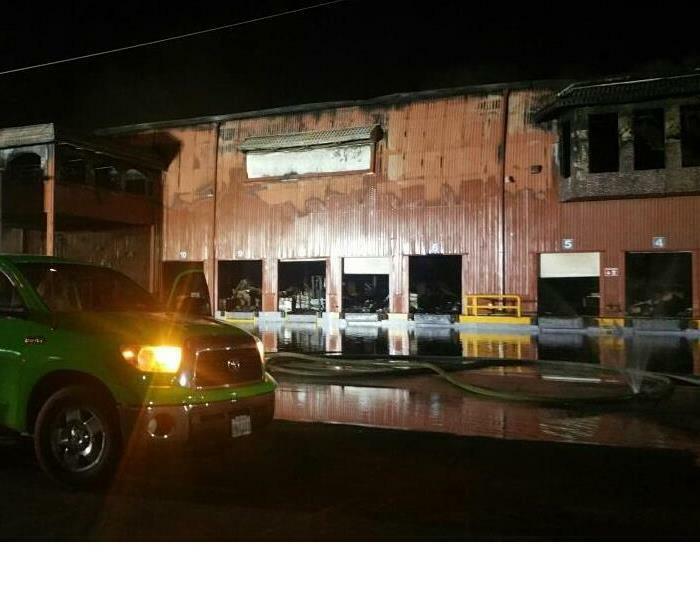 SERVPRO was quick to respond to a recent fire in this shopping center in Calexico, CA. We were able to start the cleaning and demolition process to begin work to get this facility back open again. 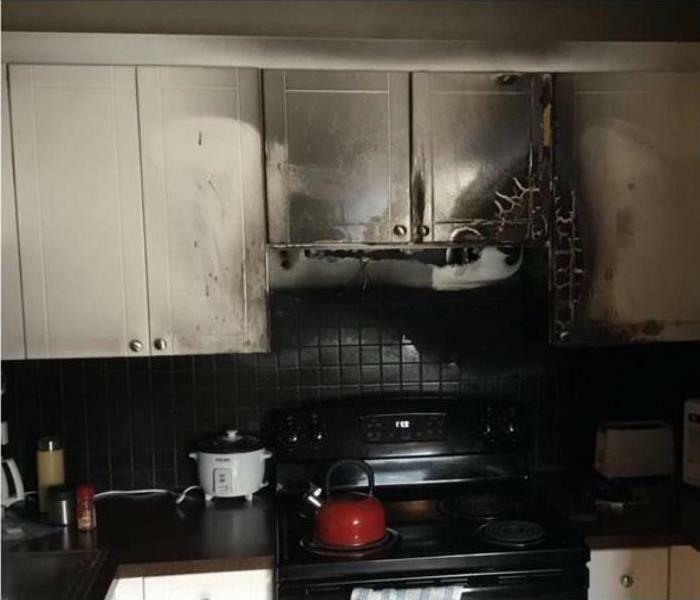 SERVPRO can make Fire Damage "Like it never even happened!" 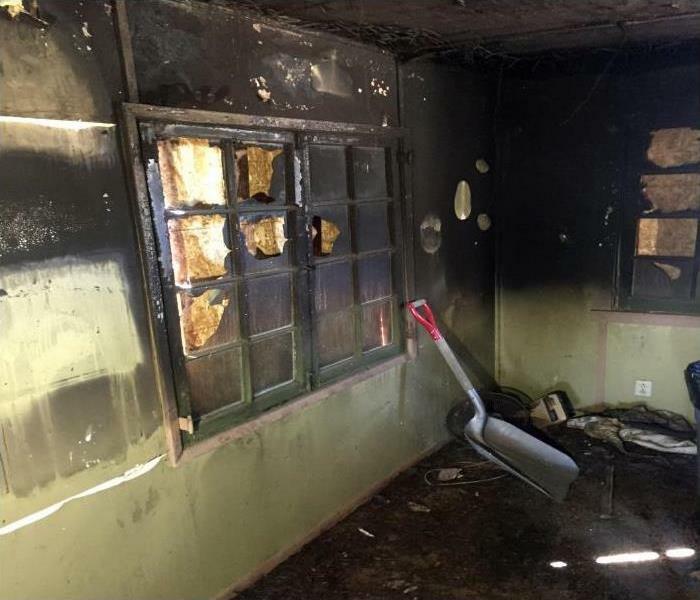 SERVPRO of El Centro/ Salton City was quick to respond to this recent fire damage in Calexico, California. We started the process of extracting water and demolition to get this facility ready for business. We love our team! 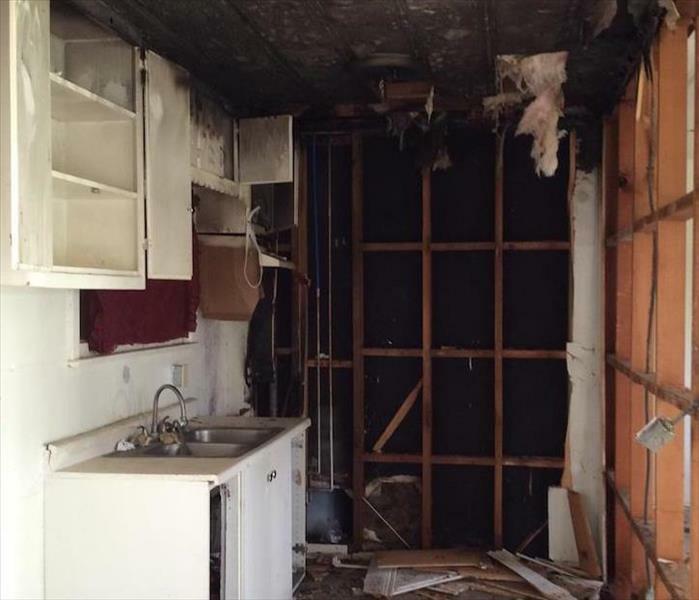 Fire and Water Damage Experts in the El Centro and Salton City Area. We are quick to respond to any fire or water loss in the area and love our customers.